This week has been all about bikes and bees. I have taken a super fast crash course on both, because it was really crunch time. This weekend I was to compete in my second triathlon (more on that later). 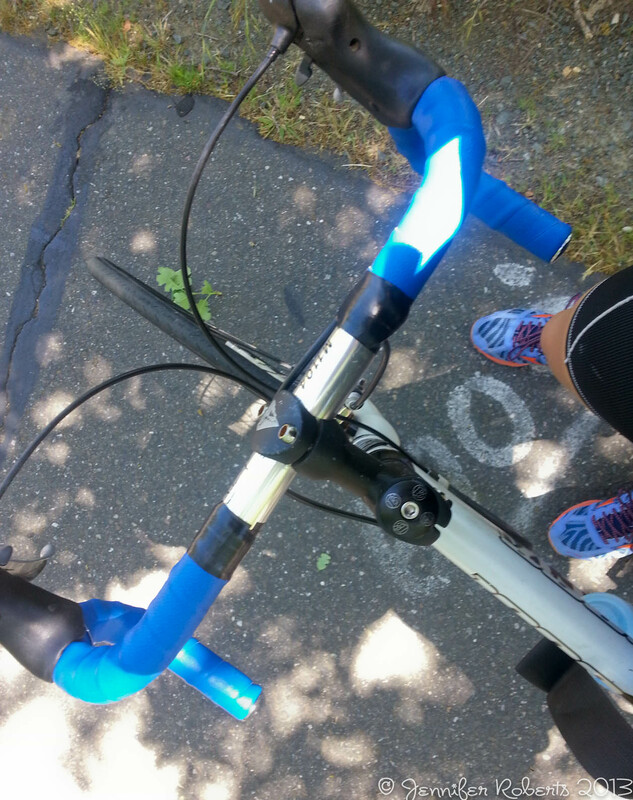 Upon completing my first triathlon I discovered that I needed a real road bike. Or at least something a little more updated than my steel, late 70’s Centurion with down tube shifters, (I can say that now) that I affectionately call Rusty Red. I spent months on Craigslist looking for that perfect used bike within reasonable driving distance and price range. I went to six different bike stores. I rode at least 20 different bikes. I stood over another 25 to check sizing. I heard all about the benefits of carbon, the drawbacks of aluminum, how Shimano gears work and the different levels they have, seat shapes, and fork materials. 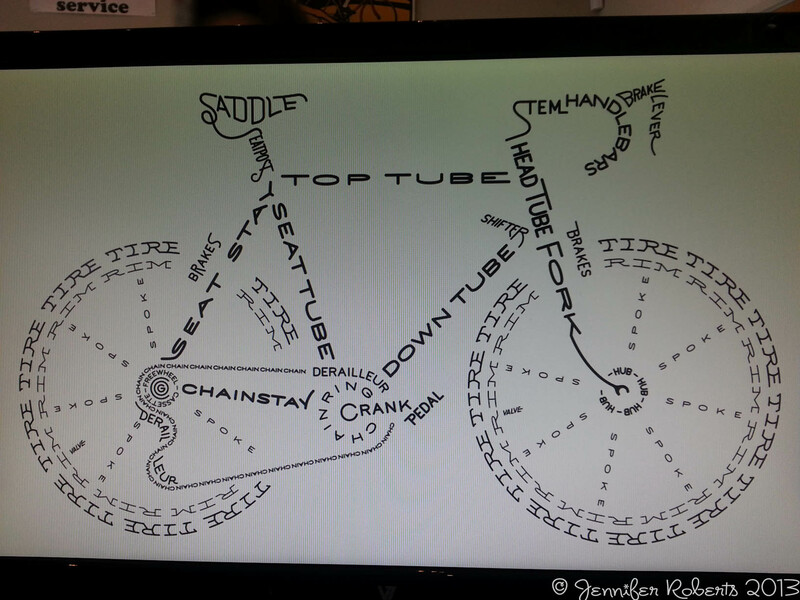 I never realized how much there is to know about bikes! I got a book called Just Ride: A Radically Practical Guide to Riding Your Bike by Grant Petersen, that helped me a lot. All I really want to do is ride. And be safe. This book tells it like it is. Why you don’t need clip in shoes and an aero helmet to race, how to not get car doored, and what makes a good saddle, etc. Three days before the race I was still bikeless. And as soon as I felt I knew a lot about bikes (at least volumes more than I did just the week before) then I found that perfect Craigslist add, a bike in my small size, lightweight, affordable, and only an hour drive away (to a city I never mind going to visit). It was a match! And she performed great for my race. Upon coming home from buying my new bike I checked out the bee hive and noticed I had robber bees. Robber bees are bees of another kind, generally, that prey on weak hives and steal whatever sustenance they can. Unsure of what to do I consulted my books and learned I needed some more equipment to better secure the sugar water I am feeding my bees. Off to the bee store to talk with the experts and purchase some tools. (I am so lucky to have a bee store in my town!) Crisis averted and I think the hive is doing just fine. On Friday, I had to go in for the first time since they had been active and release the queen. I was so nervous. First time lighting the smoker, using it, lifting the hive lid, and separating the frames filled with active bees. I found the queen box, brushed off her attendants, sprayed her cage with sugar water (so she won’t fly off), and took out the cork keeping her in the cage. Then I put her back in the box and closed it all up. No stings! I hope they are all feeling happy and will become stronger in the days ahead.